About a month ago, I put up a post about how I made a small jeweler’s bench from a small desk and scrap wood. Since then, I have been trolling for tool making directions and tutorials. 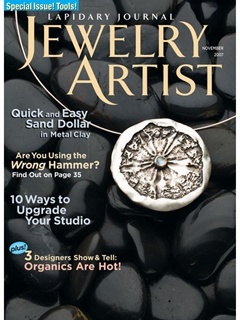 I recommend two excellent articles from Lapidary Journal Jewelry Artist. The first one is on how to make a swage block from hardwood by Tom and Kay Benham. It’s in the November 2007 issue which you can order by pressing here. You can find other tips on making swage blocks here. The authors used a Fostner drill bit set and a drill press to make their swage block. Since I don’t have access to tools like that, I used a spade drill bit set and hole saws to make mine. I got pretty good results. You can buy hole saw and spade drill sets from Harbor Freight or your local home center. T he other article from the April 2009 issue of Lapidary Journal Jewelry Artist is about how to make a hammered wire cuff bracelet. Author William Fretz throws in a nifty side bar on how to construct a jig so you can get consistent curves in heavy gauge wire. Press here to order the back issue. Ganoksin is a treasure trove of jewelry making information. Be sure to check out Charles Lewton-Brain’s article on making chasing tools and Tina Wojtkielo’s article for tool junkies. 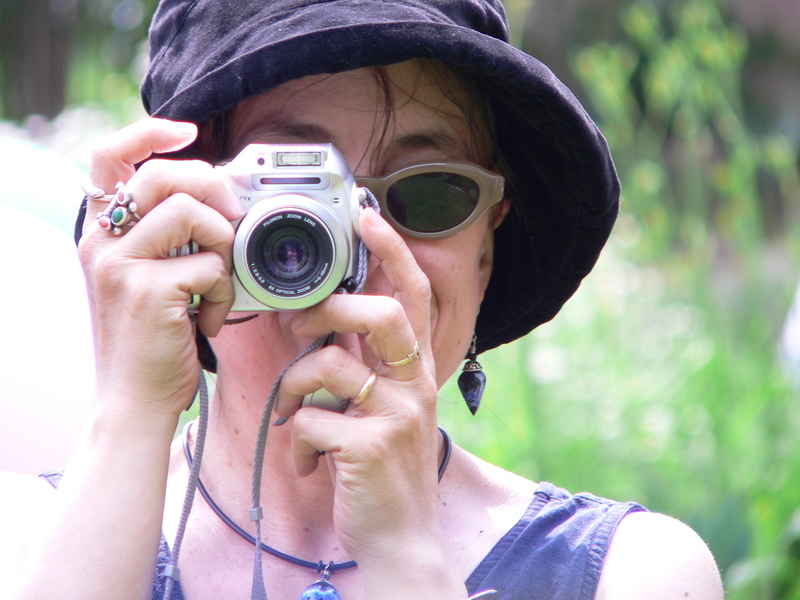 It’s full of tips for making and using tools that she collected from several jewelry artists. The last item comes from a great Internet resource, the How-To-Make-Jewelry Blog. It’s a useful bracelet sizing template you can download for free. The video that shows how to use it is below. The second article from william fretz is really informative. I really appreciated the way in which he tells his readers about getting consistent curves in heavy gauge wire.